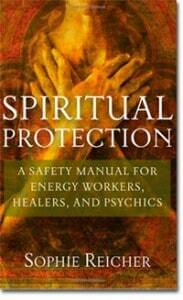 Spiritual Protection was quite an interesting book to read. I have not read much about magic, charms, spells and things of that nature. I have explored chakra work, energy work and other forms of healing in that line. I figured this book would teach someone how to shield themselves from negative energy which is something I pick up on very easily. I had no expectation of this book going into as much detail and with as wide a variety of uses as it did. If for whatever reason you don’t believe in magic or think it’s something you’d rather not read about then this book is not for you. I’d say about half the book consists of magic while the other half talks about energy work and ways to ground and center. This book really is for those who practice or who are interested in learning more about these subjects. I enjoyed learning about the different centering and grounding techniques. I have taken cranial sacral classes and took a class with a person who also did energy work. She used to clear a room or a person with negative energy by throwing it out her window into some bushes she didn’t like in front of her office. Within a year the bushes had died. I don’t know if it could honestly be linked to that but it did intrigue me and I could feel the power of her belief in negative energy and the importance of clearing from her and her office. I enjoyed reading this book and learning from a deeper understanding and practice than I have experienced before but it will not be a book for everyone. Pretty different. I love to read these types of books! Thanks for sharing.